What to Wear in a Wedding? Deciding what to wear to a wedding can be daunting if the dress code for guests is not mentioned in the wedding invitation. However, it can be easier if you pay attention to some important details like the theme, time and season of the year, the venue and some certain rules for a wedding. Long dresses are best on formal evening weddings. You can choose to wear a dress that suits perfectly for the wedding theme. You can check out the Long Dresses for Formal Occasions from Zalora Philippines for a wide array of choices. For an extra formal wedding that displays a “night of glitz and glamour” theme, you can opt to wear a sequined dress or something sparkly. 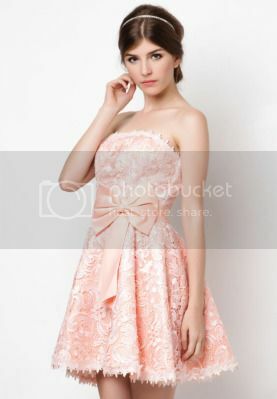 For a formal or semi-formal morning weddings, a short cocktail dress would be perfect. You can opt to wear short cocktail dresses that are light in color. Since you are attending a wedding always make it a point to be modest in what you are wearing. Avoid wearing revealing clothes like see through and strapless dresses. For semi-formal evening weddings, dressy cocktail attire is exactly right for the night. Sun dresses are perfect for a semi -formal morning weddings. It is also a perfect wedding outfit for beach wedding themes. Actually the options are limitless. You can browse the internet or ask some friends to help you come up with the best wedding outfit. However, you still have to use your own judgment as to what you should be wearing for the wedding.